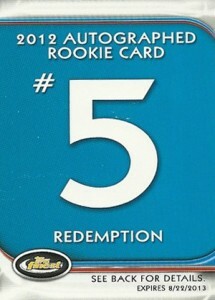 Jean Segura is the fifth 2012 Topps Finest Baseball Autograph Rookie Redemption, filling the final spot on the checklist. 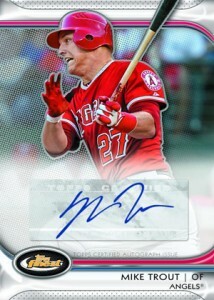 Collectors who pull a Rookie Redemption #5 card from 2012 Topps Finest Baseball will receive a signed card from the Brewers shortstop. In 32 games so far this year, Segura is batting .262. 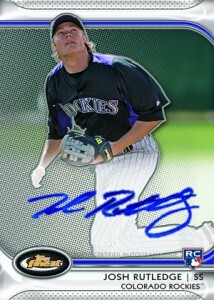 He began the season with the Angels but was traded to Milwaukee as a part of the Zack Greinke deal. 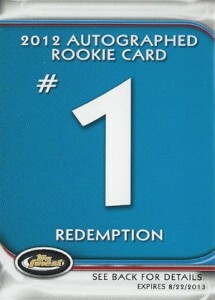 This closes out the set's Autograph Rookie Redemption checklist. 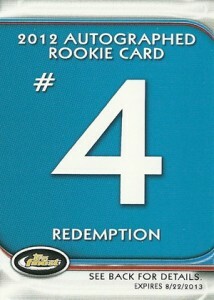 Mock-ups of all five cards are pictured below. 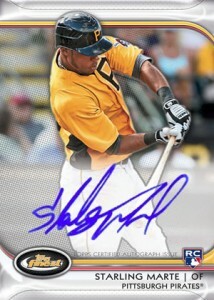 2012 Topps Finest STARLING MARTE Auto Rookie Card Redemption 100 AR-SME RARE! 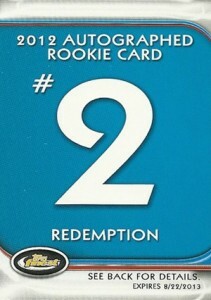 how many of the Topps Finest Mystery Redemption #2 are made? Are they numbered? 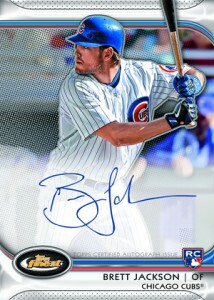 Haynes (ID 56180) � Topps has not released production info on these from what I can tell. 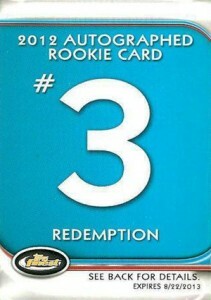 2012 Topps Finest Baseball Mini Box 6 Packs Per Box 5 Cards Per Pack Harper RC? ?